Our mothers always told us to be sure and brush our teeth. We, of course, thought she was just nagging at us, and did so, begrudgingly. It turns out that, like many of the other things she instructed us to do, good oral hygiene is about more than just cleaning the food off our teeth. Taking care of our mouths on a regular basis seems to have positive effects on our overall body health as well. Brushing & Flossing: Mom usually only nagged about brushing teeth before going to bed. But we should really take the time after every meal we eat. Flossing is usually good during the evening oral hygiene time, and a swish with an approved dental mouth wash (preferably one that has anti-microbial benefits) is also a good addition to ones routine. Eat Healthy: Good foods are not just good for the body. The vitamins and minerals one will ingest with their healthy diet should also provide the materials necessary for good oral hygiene and strong teeth and gums. Don’t Smoke: Smoke fills the mouth and oral cavity with toxins that not only cause bad breath, but can also inhibit healing processes and increase the cause and effects of infections. Smokers unwilling to give up the activity should pay extra attention to their personal oral health, and ensure regular visits to their dental professional. Pregnant? : Women expecting babies need to pay particular attention to their healthy diets for all the obvious reasons. Paying attention to good oral health will not only aid the mother, but since her blood is shared with the developing baby, the better she treats her teeth and gums, the less likely infections or other oral diseases will invade the fetus. Children’s Teeth: Teaching a child to brush their teeth effectively is quite a task. Instead of hoping they pick it up, the better option is to actually brush their teeth until they can prove satisfactorily they are doing a good job. Visit the Dentist: While perhaps the easiest item on this list, with so many people having little to no dental insurance, regular visits to get ones teeth checked on can be quite the challenge. All things considered, it may be more beneficial to forgo the annual family vacation and take everyone to see the dentist. And that list is just what happens in relation to oral health. 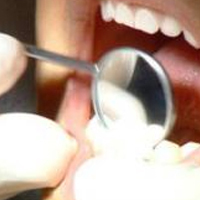 The rest of the body is in just as much danger of experiencing deleterious effects associated with poor oral hygiene. In addition to the above, poor oral health may also severely stress the body’s ability to fight infections. This stress can have serious impacts on those with auto immune challenges. Even if much of the study being done on overall body health is off or inaccurate, taking care of ones oral hygiene is a good idea if for no other reason than to not offend those with whom one comes in close contact with. Shelly Towns is a self-proclaimed health nut who enjoys researching medical assistant schools, cooking, and writing.